Poor Microsoft Kinect. Microsoft’s standalone sensor for the Xbox One boosted the console’s price to unsustainable levels, prompting Microsoft to ditch it. But now it’s back. Microsoft said Wednesday it will ship a standalone Kinect sensor for the Xbox One on Oct. 7 for a whopping $150. To sweeten the deal, Microsoft will toss in a “free” game: Dance Central Spotlight, the latest in the dance series from developer Harmonix, which will be available as a digital download. Microsoft originally launched the Xbox One for $500, including the Kinect sensor—that was $100 more than the PlayStation 4. But gamers balked because of the price and what they saw as Microsoft prioritizing everything but the games. Combine that with a labyrinthine method for sharing and selling previously owned games and many simply threw up their hands. Microsoft mollified some by stripping out the Kinect as part of a June relaunch of the console for $399. Microsoft said sales doubled for the period immediately following that announcement. Keen mathematicians will notice, however, that Microsoft’s decision effectively priced the Kinect sensor at $100—not the $150 that Microsoft is now charging for the standalone sensor. That’s essentially forcing consumers to spend an extra $50 to buy a game they may or may not want. Microsoft put a positive spin on the whole situation noting gamers now have a choice of which Xbox One bundle they choose: one with a sensor, one without, or even special bundles of the console with games like Madden 15. “Billions of voice commands” on the Xbox One have been issued by gamers since the launch—including, presumably a few “Xbox on!” commands issued by Breaking Bad actor (and Emmy winner) Aaron Paul. 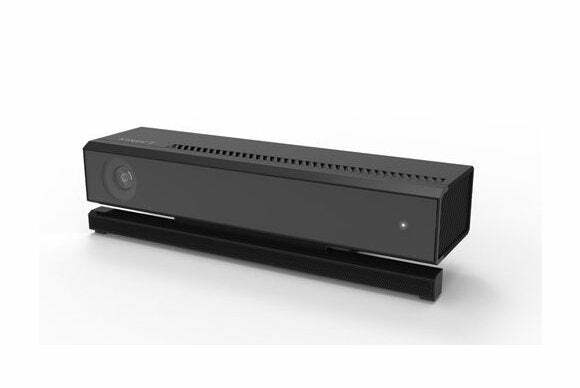 Time will tell if fans snap up the Kinect sensor. If not, developers will likely kill support for it in future games, creating a vicious circle that will doom the Kinect to the scrap heap. Fortunately, there’s always Kinect for Windows—but that’s not all that cheap, either.